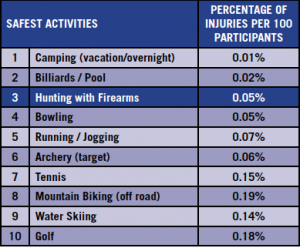 The 2014 edition of the Firearms-Related Injury Statistics was recently released by the National Shooting Sports Foundation. 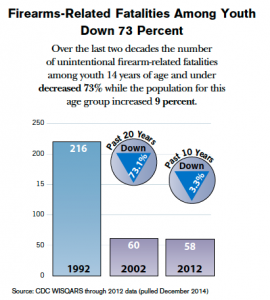 In the findings from the recent research in the last 20 years (2002 – 2012), the number of unintentional firearms-related fatalities involving children 14 years of age and under has decreased by 73 percent. Firearms are involved in 1.4 percent of unintentional fatalities among children 14 years of age and under and are among the least likely causes of unintentional fatality. As firearms safety education programs have increased, the number of unintentional firearms-related fatalities have decreased. Hunting is one of the safest activities in America. 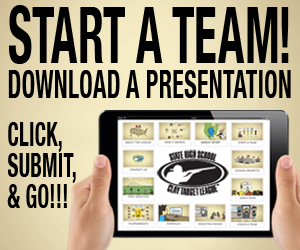 A person is 12 times more likely to be injured cheerleading than hunting. 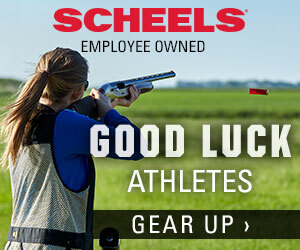 A person is 22/27 times more likely to be injured playing softball/baseball than hunting. A person is 33 times more likely to be injured bicycle riding than hunting. A person is 40 times more likely to be injured playing soccer than hunting. A person is 50 times more likely to be injured playing basketball than hunting. A person is 54 times more likely to be injured skateboarding than hunting. 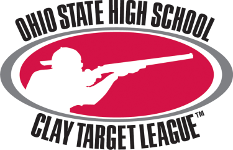 A person is 125 times more likely to be injured playing tackle football than hunting. 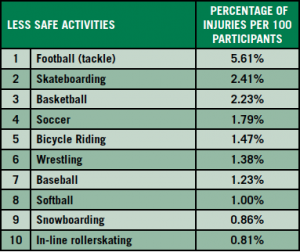 In the tables below one can see the percentage of injuries per 100 participants, comparing the safest and the least safe activities. Click here to view the full 2014 NSSF Firearm Injury Report.